The Lewis N. Clark heavy-duty dry bag can be carried multiple ways or attached to other gear. It's the durable dry bag you'll want for paddleboarding, canoeing, windsurfing, or any other sport on the water. With a removable shoulder strap and a grab handle, it's easy to carry. The two D-rings also allow you to attach it to your kayak, backpack, etc. 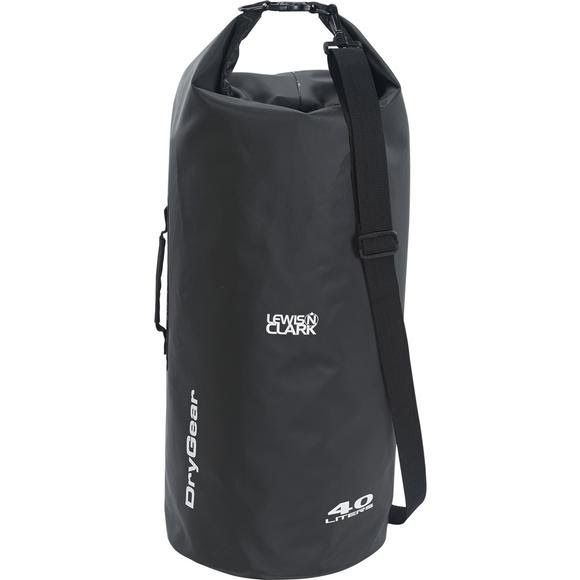 The Lewis N. Clark heavy-duty dry bag can be carried multiple ways or attached to other gear. It&apos;s the durable dry bag you&apos;ll want for paddleboarding, canoeing, windsurfing, or any other sport on the water. With a removable shoulder strap and a grab handle, it&apos;s easy to carry. The two D-rings also allow you to attach it to your kayak, backpack, etc., and the 600D mesh PVC material ensures that it&apos;ll hold up against wear and tear. The material is thick enough to be called "heavy duty" and seems well made. It doesn't leak and has a useful handle and adjustable length strap.